A fitting tribute to a forgotten art-style; Art Nouveau, showcased at a photography exhibition that displays landmark buildings of that era. Art Nouveau is an international style of art, architecture and applied art that peaked and developed in Belgium in the 1890’s and was prevalent up to World War One. 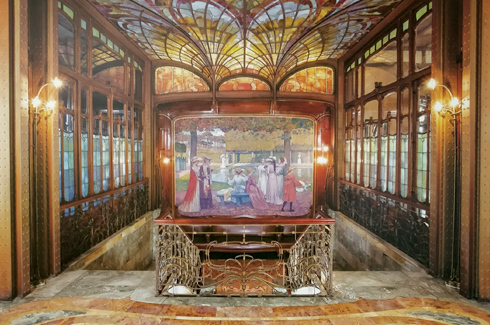 Art Nouveau embraces a wide range of fine and decorative arts, including painting, graphic art, architecture, interior design, jewellery, furniture, textiles, ceramics, glass art and metal work. Art Nouveau is an endearing style that broke away from all traditions and classism; something different from what people were used to. Aptly named Art Nouveau, it was a very ‘new’ introduction to the world. The conventional floor plan with specific space arrangements was abandoned and homes were built to suit the occupant’s needs. 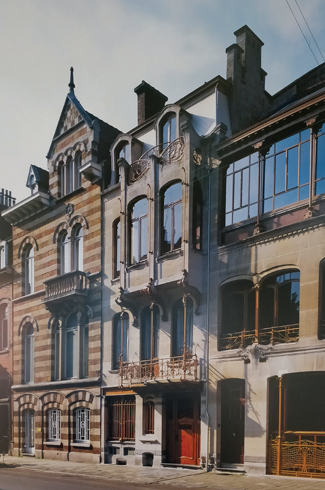 Brussels became a fertile breeding ground for Art Nouveau with many homes and even shops being built in the style. 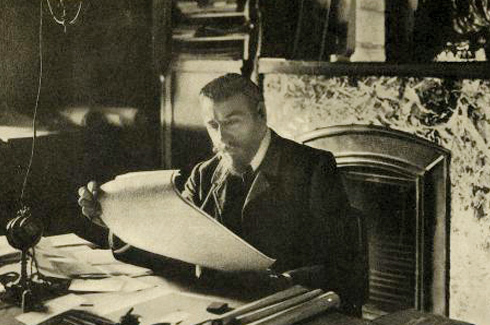 Victor Horta, Paul Hanker and Henry van de Velde are the most well-known architects of Art Nouveau. 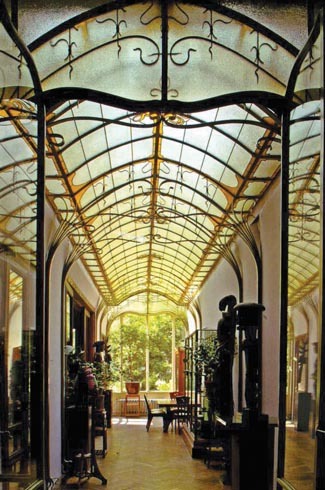 Victor Horta used this style extensively throughout his professional career. In a short span of time he grew into the architect for new affluent classes. 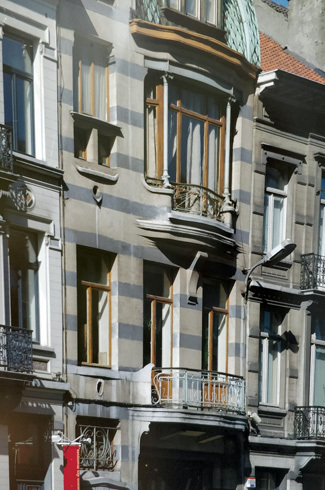 The wealthy industrial class was mainly settled in Belgium’s capital Brussels and they had a desire for luxury. 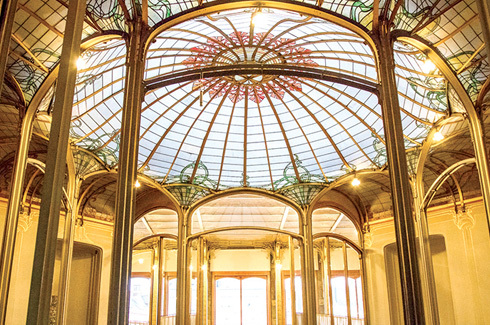 Art Nouveau became the new-fangled style and Horta became the architect that catered to this demand. Between 1893 and 1914 he designed numerous houses, departmental stores, a public house and also a kindergarten. Horta liked to create open spaces and let light enter to make structures seem more spacious. To do that, he cleverly adopted the use of industrial architecture, iron constructions and metal structures in his methods. Huge glass windows provided insights to the richly decorated interiors that bathed in natural light. In addition to architecture, Horta also partook in interior design and furniture design. 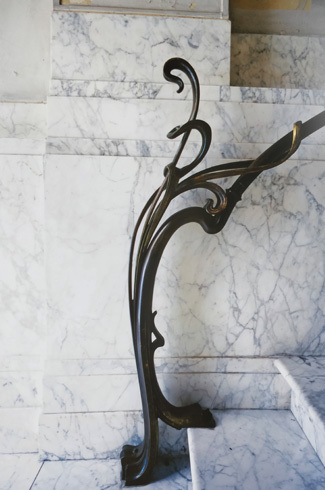 A prominent style called ‘biomorphic whiplash line’, a stylized curved motif is a dominant feature and characterises every interior element from forging over the furniture to wall decorations. With the use of whiplash, the interiors exude a sense of colour harmony. This style was extensively used throughout his buildings, furniture and décor pieces. One more unique feature of his style was the prominence given to staircases. Instead of shunning them to a corner like most houses did, he made them the central focal point. 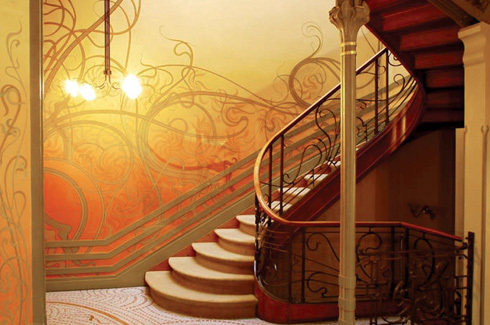 Often infused into the theme and right in the midst of the living room, the grand staircases were always beautifully ornate and organic; Art Nouveau style! The First World War One signified the end of Art Nouveau which had laid the foundation for the new emerging style, Art Deco and subsequently modern architecture. 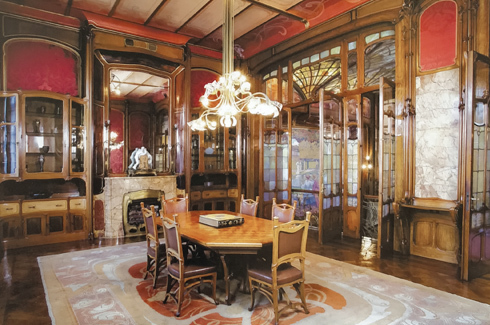 On the occasion of the European Year of Cultural Heritage and the Belgian Year of Victor Horta, an exhibition and conference had been arranged on ‘Art Nouveau in Belgium’ at the Dr. Bhau Daji Lad Museum in Mumbai. 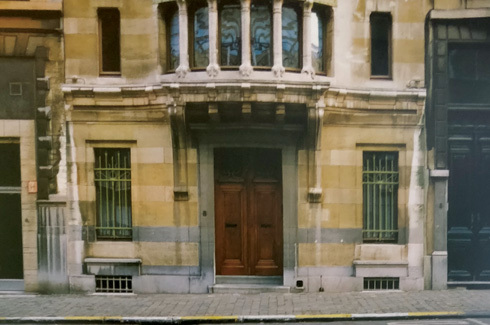 The custodian, this time, was Brussels-based aesthete and jewellery designer Nupur Tron. Born to parents of Rajasthani and Kolkata descent, Nupur has spent most of her life abroad. Belgian Consulate General, Mr. Peter Huyghebaert was contacted by Nupur, who purchased one of Horta’s houses herself about 1.5 years ago. He believes that there was a strong connection between the Art Nouveau style and Rajasthani palaces. 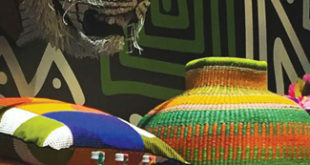 He made the connection to India because of this and decided to aid in the organisation of this exhibition. Held on 27th November, 2018, the people who have been integral in the successful execution of this exhibition are; Prof. Dr. Werner Adriaensses – Curator of collections , 20th century art and history museum, Brussels, Prof. & Architect Barbara Van Der Wee – specialist in Horta Heritage Conservation and Ms. Nupur Tron – Curator and Founder of Foundation Frison Horta. All the exhibited pictures were taken a hundred years ago and have never been used or displayed before now. A German photographer clicked these photos right after World War One. He was part of an organisation that comprised of a group of photographers that were tasked to preserve heritage art. They made an inventory of art and buildings back then. 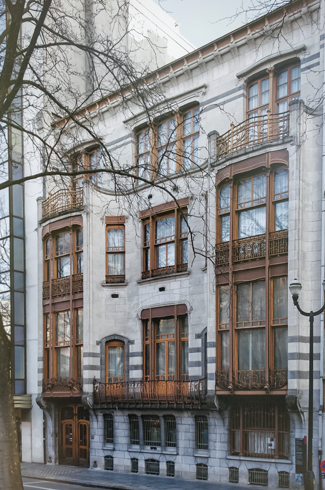 Some of the famous photos displayed were; Solvay House (1894-1898), a wealthy industrialist’s not so humble abode which was made by employing an iron and stone façade with elaborate iron interiors. The Tassel House (1893-1896), a house designed by Victor for engineer Emile Tassel. The Tassel house was extremely famous and designed with a semi open-plan floor layout for a house of the time, and incorporated interior iron structure with curvilinear botanical forms. L’Innovation was a departmental store located in Rue Neuve of Brussels. In it, Horta pushed the skeletal and tensile metal structure to the limits of its capabilities, exposing it to the elements with the simple infill of glass panels on the facade. The result is that the entire facade functioned as one massive shop window, allowing everyone outside to see in, and vice versa. Tragically, it burned down in the 60’s. 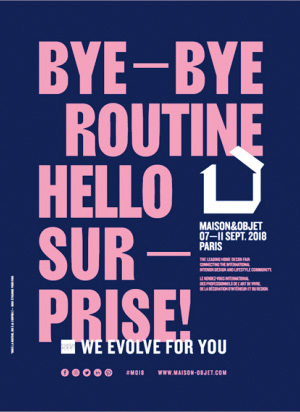 The Frison house was a home, originally built by Victor Horta for his friend, Maurice Frison in 1894 and then re-emerged as Maison Frison Victor Horta, the museum that ‘bridges the cultures between the East and West’. The Van Eetveldehuis House (1895-1899) was built for the Secretary State of the Independent Congo who was at the service of King Leopold 2. This was a plush house that was used to entertain receptions and grand dinners. As they say at some point, an architect has to have his own ‘business card’ and the Studio House was just that for Victor. Some beautiful photos of the Studio house were displayed in which one can see Victor’s studio connected to his home. Having gone through multiple renovations over the years, the exhibit lets you wander back to what it was and what it became after its several restorations. Bringing back bitter sweet memories of a lost art form; a style that made way for Art Deco and today’s modern architecture; a luxury eliminated due to the post-war austerity truly brings back the marquee of Victor’s buildings and beauty of this style; learn-worthy for today’s contemporary architects.